This should be pinned; it's a very helpful thread. I love to see people doing serious, in-depth analyses like this. 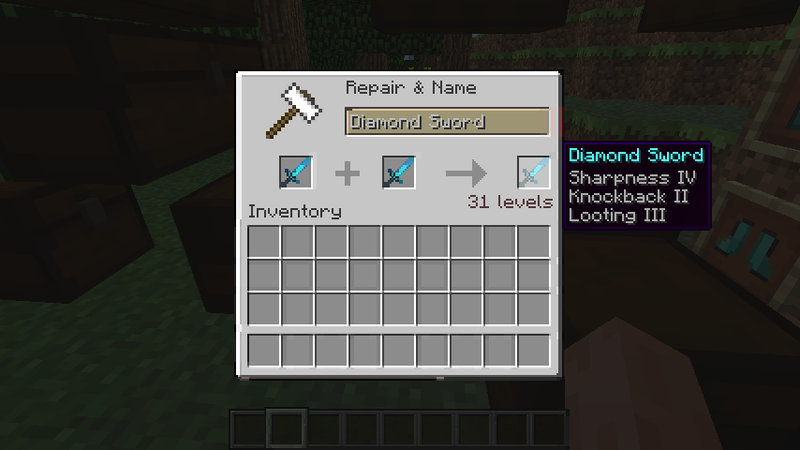 Thanks this was really helpful, with this I was able to craft my ideal sword... the problem was it took sooo many re-tries to get the enchantments I needed on the base swords to actually be feasible in game. I still hate this system. 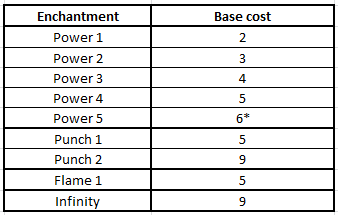 Maybe it wouldn't be as bad if you could choose enchantments... Or just get rid of/raise the level cap... 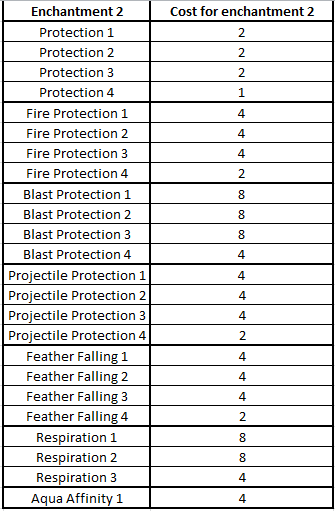 I know it's Mojangs game and is their choice as to what direction to take it but is anybody actually happy with this current system? The initial release of the repair system made me just want to shut my server down and give up, I had been looking forward to a repair system for a while and it is a huge letdown. Thanks guys! Took a lot of time, but it's still not quite complete. Hopefully I'll be able to figure out soon how they got some of the smaller details to work :D! You have no idea how many swords I went through to get all this data. 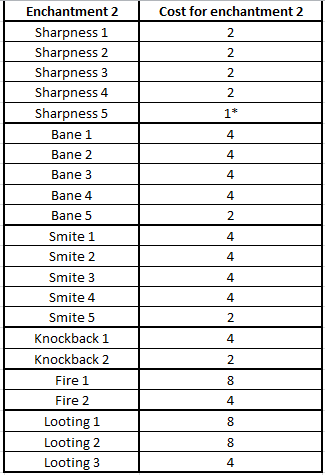 I literally have over 10-20 double chests full of enchanted swords. This may be outdated due to the anvil tweaks in 12w42a, but I'm not sure. I hope not! A lot of testing went into this :P! i did some quick testing on the latest snapshot though, and from what i saw, it was all the same. 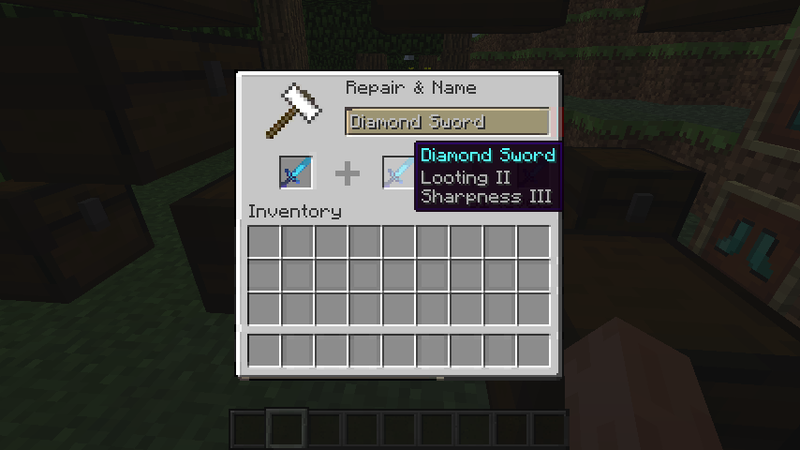 it looks like the tweaks they did was to repairing, not combining enchantments :). More testing might be needed though! I hope not! A lot of testing went into this ! i did some quick testing on the latest snapshot though, and from what i saw, it was all the same. 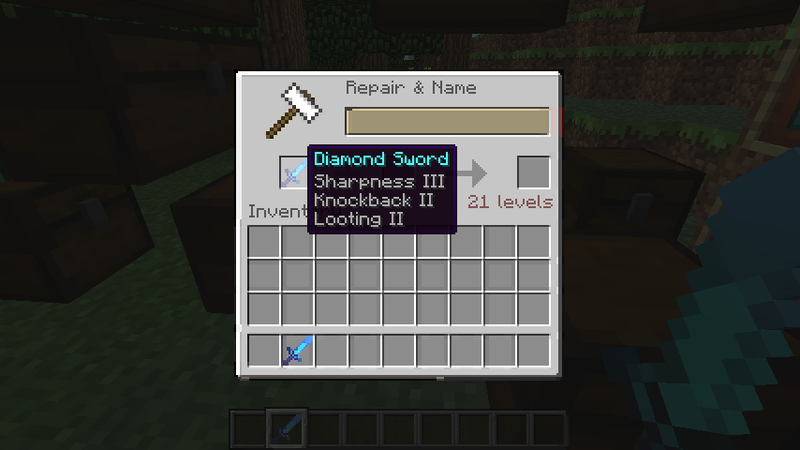 it looks like the tweaks they did was to repairing, not combining enchantments . More testing might be needed though! Even if they did change anything in this, it isn't largely significant. I haven't noticed any changes other than the experience cost seems to be a little cheaper. Nice work, btw. You evidently put a lot of research into this. Thanks :). But what experience cost being cheaper D:? Every time you use an outdated meme, God kills a kitten. Dinnerbone upped this, which is how I found it. Very useful, this thread is on my bookmark list! I saw that page and wondered if you had contributed that writeup. Good work! Great info, thank you for doing the research. 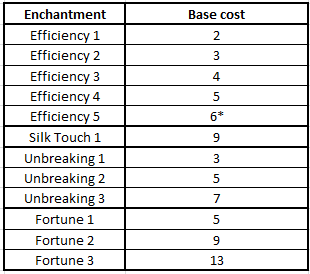 I was wondering about naming items and whether its worth naming or if it increases costs? 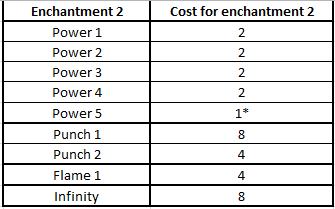 I read that naming just cuts down the amount of enchanting available?, then I read that named items are cheaper to repair? I am hoping that someone can shed some light on this. 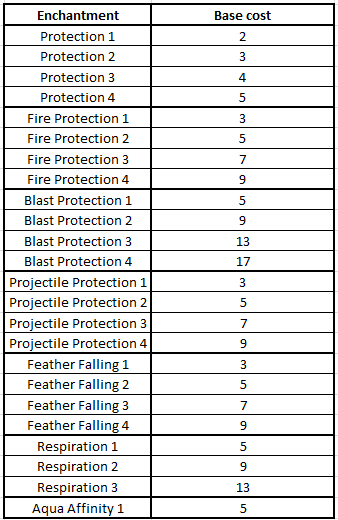 From how I understand it, naming does contribute to the overall XP value of the item, however a named items XP repair cost no longer exponentiates but instead remains a set amount. This means you could continue to repair an enchanted named item indefinitely as long as the cost doesn't exceed the limit. Anyone else despise the level cap on the anvils? 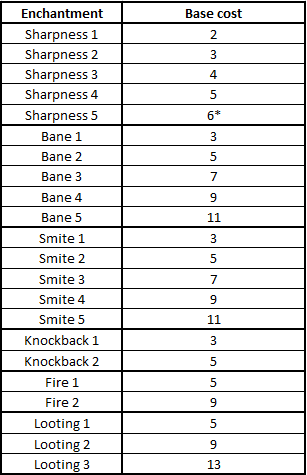 I have a Power V, Infinity I, Flame I, Unbreaking III bow that won't allow me to repair it. 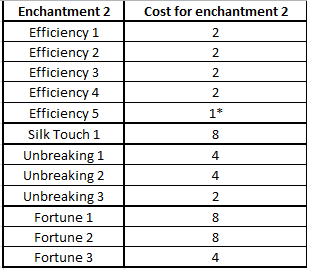 I think that with the addition of Enchanted books, they needed to increase the level cap.